Bringing over 50 years of experience with businesses and non-profit organizations, Richard’s expertise includes accounting and auditing, litigation support, business valuations, mergers and acquisitions, management consulting, and business planning. He is President of Valuation Consultants, a company providing valuation services to closely held businesses. He has earned the Accredited in Business Valuation (ABV), Certified Valuation Analyst (CVA), Certified in Financial Forensics (CFF), and Charter Global Management Accountant (CGMA) designations. Additionally, he has also received a Certificate of Achievement in Business Valuation from the American Institute of Certified Public Accountants. Richard graduated from Washington University in St. Louis with a Bachelor of Science in Business Administration. He spent 27 years with an international accounting and consulting firm, including 12 years as the managing partner of its St. Louis office. In 1990, he left the international firm and founded a local accounting firm. Then, in 1995 he joined SFW Partners. Richard is a member of the American Institute of Certified Public Accountants, the Missouri Society of Certified Public Accountants, and the National Association of Certified Valuation Analysts. 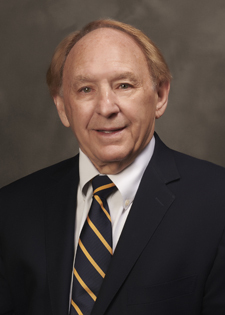 In addition, he served on the Missouri State Board of Accountancy for five years, including one term as its President. He is actively involved in numerous civic, charitable, and political activities.